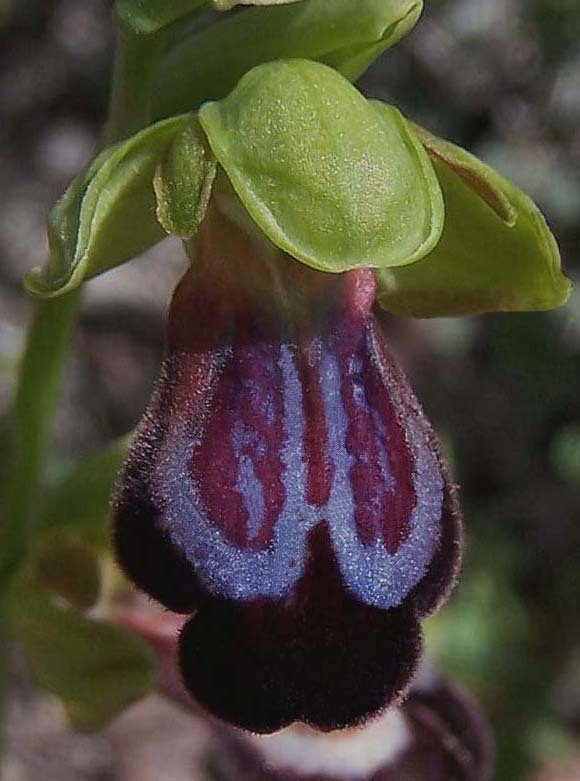 O. iricolor was first described by Desfontaines from the Aegean island of Samos in 1807 and its name refers to the iridescence of the speculum. 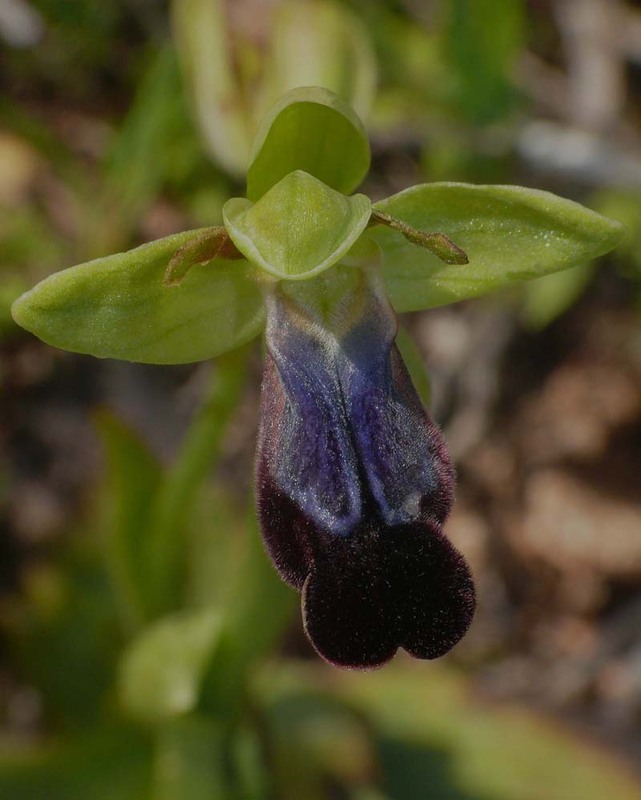 This feature is largely responsible for the species common name, the Rainbow Ophrys. It is a member of the five strong O. iricolour group and much the most widespread in terms of its distribution. This is one of the eastern Mediterraneans commoner Pseudophrys but is nevertheless amongst the regions most elegant and beautiful orchids. 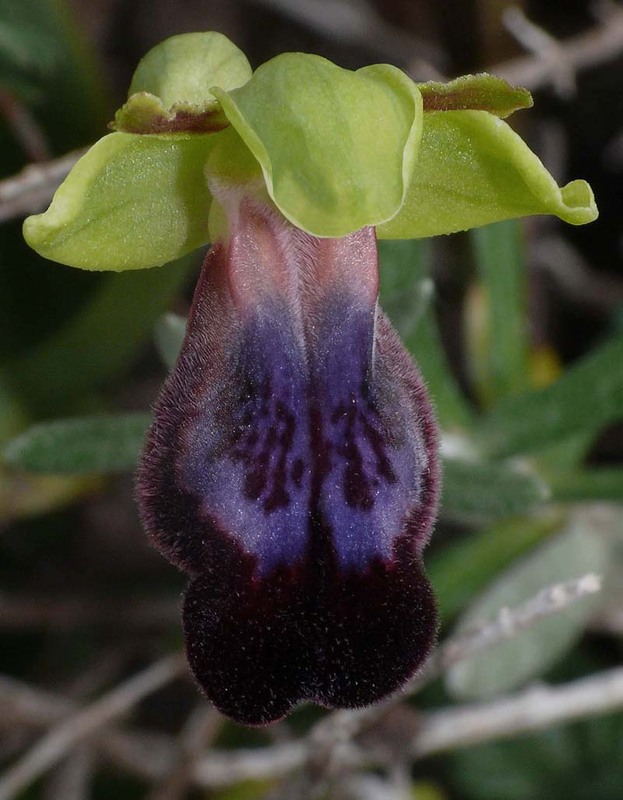 This is illustrated perfectly in the first of the accompanying photos though this gaudy example cannot be taken as typical, even on its home island of Crete, which routinely seems to produce O. iricolor in a larger flowered, more colourful form. 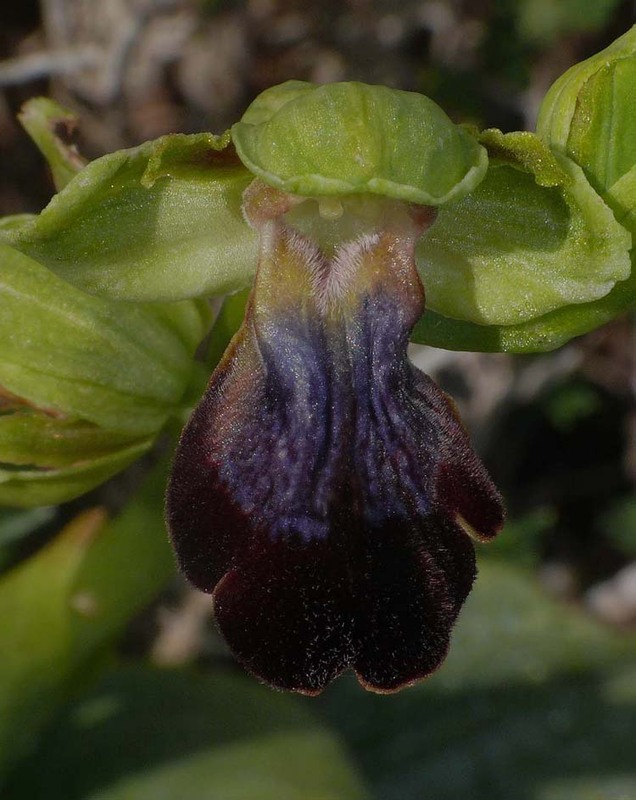 O. iricolor is a robust, large flowered Ophrys, with a distinctive appearance that is difficult to confuse with any other species. It's range brings it into contact with the rather rare, fellow group member O. mesaratica but there are three key features that serve to differentiate them. The flowers of O. iricolor are larger, bluer and more striking, the underside of the lip is light purple whereas in O. mesaritica its a darker brown or olive colour and crucially O. mesaritica should be dead and gone by the time O. iricolor appears in late March. 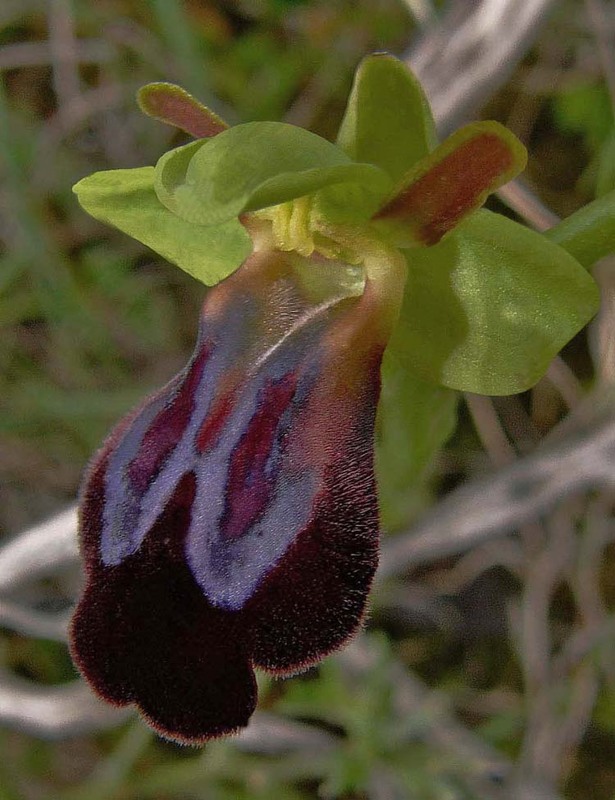 In Cyprus, where their ranges do not overlap, O. iricolor may be found as early as mid February. This species occurs throughout Greece and its islands, Cyprus, Turkey, Anatolia, down to North Africa and across to Syria. The photographs here come from Crete, Chios, Lesbos and Cyprus.